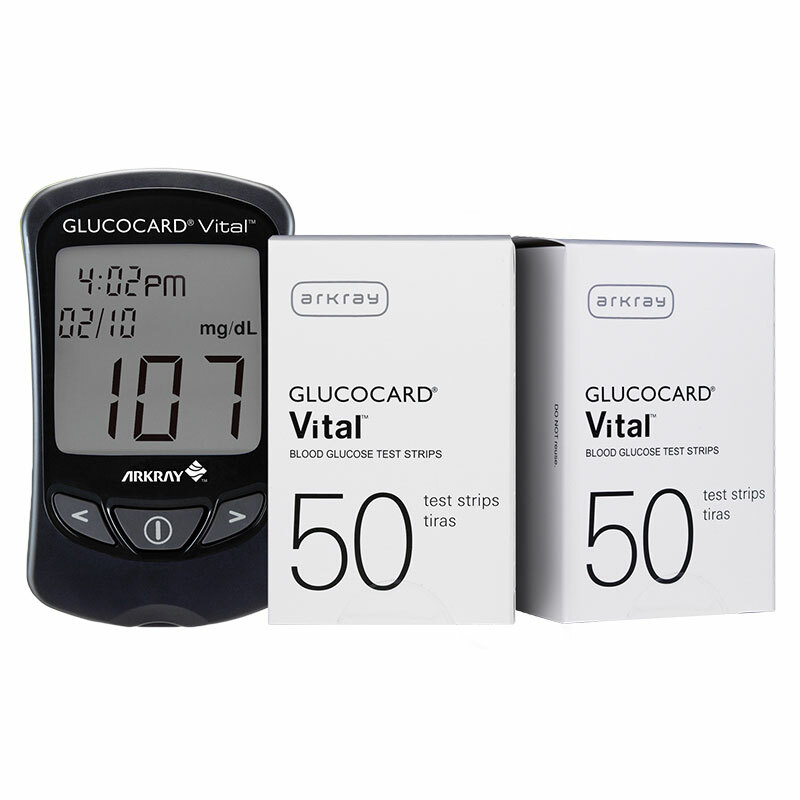 The Arkray GlucoCard Vital Blood Glucose Monitoring Kit - Black is a fast and accurate meter that makes blood glucose monitoring easy. 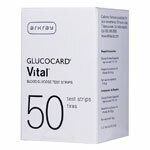 Purchase 200 Arkray GlucoCard test strips and receive a FREE Arkray GlucoCard Vital Glucoce Monitoring Kit. 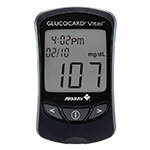 The Arkray GlucoCard Vital Blood Glucose Monitoring Kit - Black is a fast and accurate meter that makes blood glucose monitoring easy. 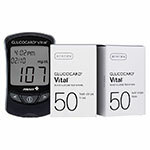 It requires a small 0.5 µL(microliter) sample size in test strip platform to give accurate results in as little as seven seconds. 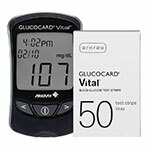 This auto coded blood glucose meter has a 250-test memory to help keep track of Vitals. 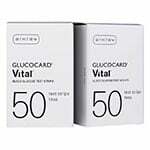 Purchase 200 Arkray GlucoCard glucose test strips and receive a FREE Arkray GlucoCard Vital Glucoce Monitoring Kit.